Mark your calendars and grab your tennies! 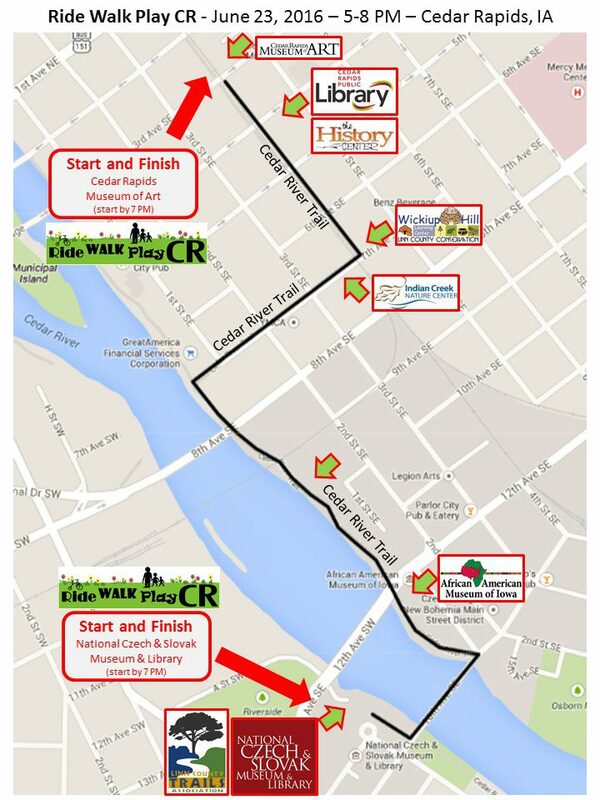 Ride Walk Play CR is coming your way as part of the Cedar Rapids Freedom Festival. Whether by foot, wagon, or bike, Ride Walk Play CR offers participants the opportunity to connect with the Linn County Trails as well as area museums and nature centers. Begin at either the Cedar Rapids Museum of Art (410 3rd Ave NE in Downtown Cedar Rapids) or the National Czech & Slovak Museum & Library (1400 Inspiration Place SW in Czech Village) . 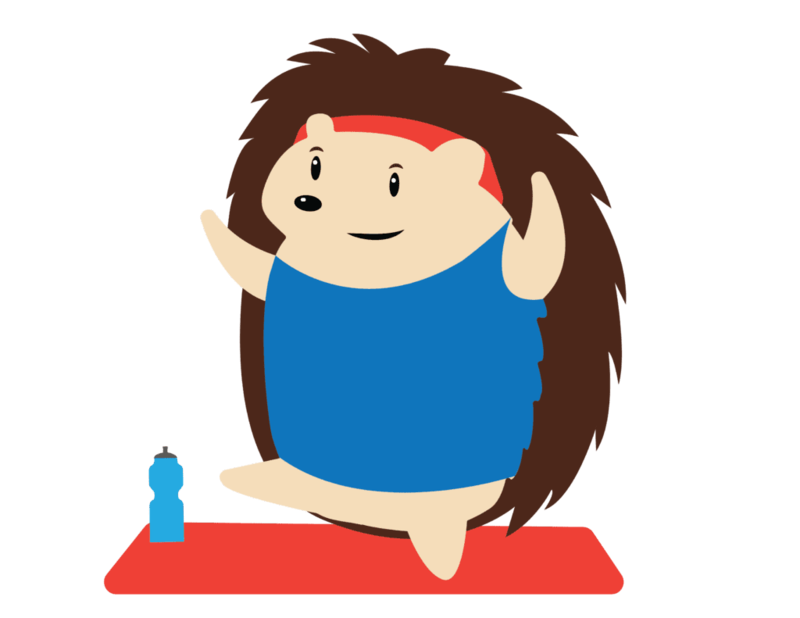 Register and get your ticket to participate in the late-afternoon and evening events. Your ticket also entitles you to various discounts at participating cultural institutions. Your journey will take you on a two mile loop through New Bohemia and downtown Cedar Rapids. Humans of every age and ability are welcome; but, please keep your pets at home. Children 12 and under must be accompanied by an adult. The registration and event begin at 5 PM on Thursday, June 23rd, 2016 at either the National Czech & Slovak Museum & Library or the Cedar Rapids Museum of Art. The event ends at 8 PM (registration closes at 7 PM). To preregister, call 319-362-8500 ext. 231 or e-mail mcreasey@ncsml.org. Route with Fun Stops Along the Cedar River Trail!